It was another beautiful day at The Sandpearl Resort on Clearwater Beach this past Sunday for Kara and Taylor’s destination beach wedding! 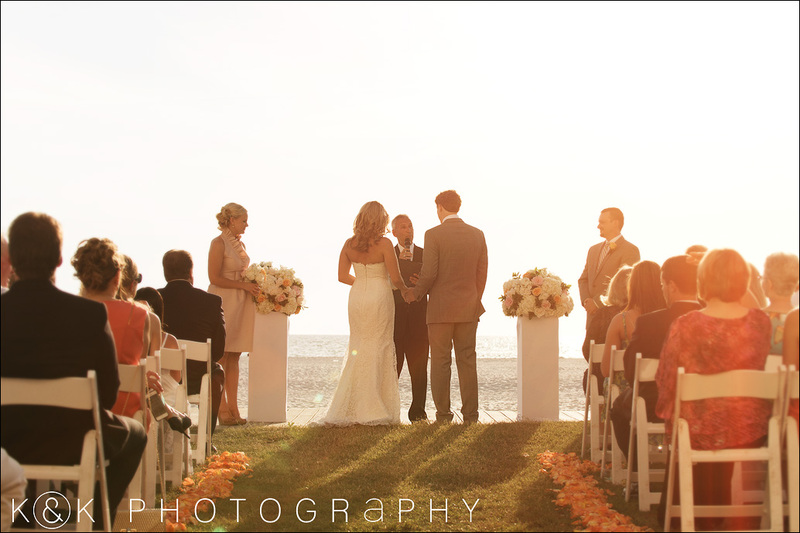 Kara looked gorgeous as she was escorted by her father across the Gulf Lawn to join Taylor at the head of the aisle with an amazing view of the Gulf of Mexico as their backdrop. There, in front of their family and friends, the couple shared their vows, exchanged rings, and were pronounced husband and wife by Rev. Rick Lackore of Sensational Ceremonies, LLC . Ceremony and cocktail hour music provided by Strings Attached, Inc.; DJ and emcee by Rob Vollmar with Grant Hemond and Associates, Inc.; Florals and décor by Barb Oehlerking with Artistry Designs Group www.artistrydesignsgroup.com ;Venue coordination by Michelle Johnson (Director of Catering and Conference Services) and the rest of the staff at The Sandpearl; Wedding Photography by Marc and Julie of K & K Photography, LLC. Congratulations to the new Mr. and Mrs. Taylor Kurth!